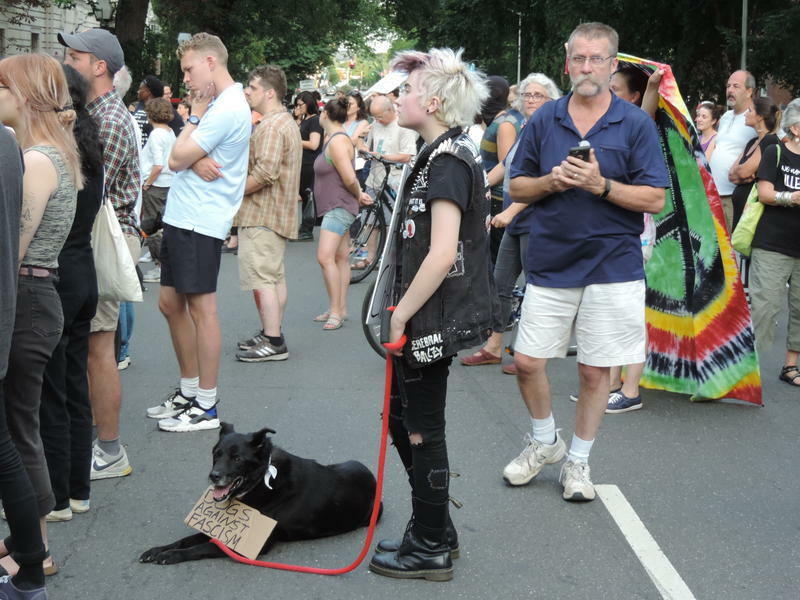 Rallies sprang up around Connecticut on Sunday in solidarity with the anti-Nazi protestors in Charlottesville, Virginia. 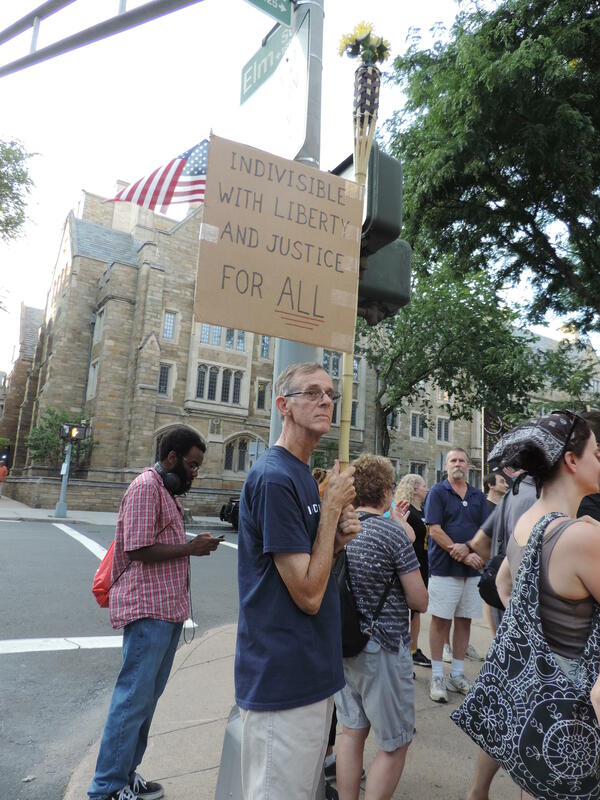 Gatherings were held in West Hartford, Middletown, Waterbury, Deep River, New London, Torrington.Wilimantic, New Haven, Danbury, and Bridgeport. 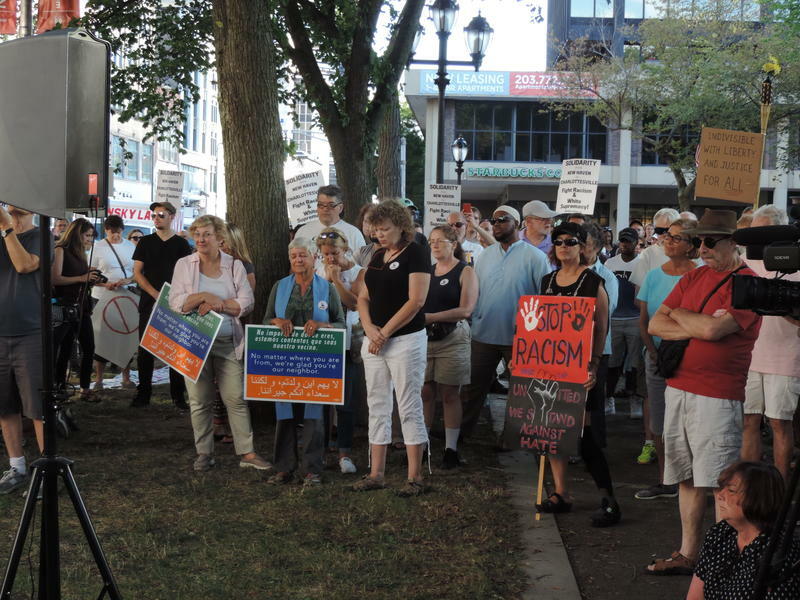 At the event in West Hartford, Governor Dannel Malloy addressed the crowd of hundreds, calling for a moment of silence for the people who were killed this weekend in Virginia, in the wake of two days of demonstrations by white supremacists groups. "No white nationalist, no extremist is going to pull us backward," he said. "And I can say that with confidence as long as our fellow Americans stand up to this… hate speech." "We should denounce these individuals on an ongoing basis, because if we do not, that which has happened in other nations and on other continents will happen in our own place,” Malloy said. Several hundred people gathered later in the day in the center of Willimantic, many holding signs denouncing white supremacy as terrorism. Organizer Miles Wilkerson said he felt moved by events in Charlottesville to take action and bring people together. U.S. Senator Chris Murphy joined the Willimantic protest, as part of a walk he is taking across Connecticut this week. “It is really amazing to see a green full of hundreds of people who are just here for the simple principle that we should love each other -- that we should build tolerant, inclusive communities,” he said. But he had an uncompromising message for the gathered protestors. Among the crowd that gathered on the New Haven Green was State Comptroller Kevin Lembo. 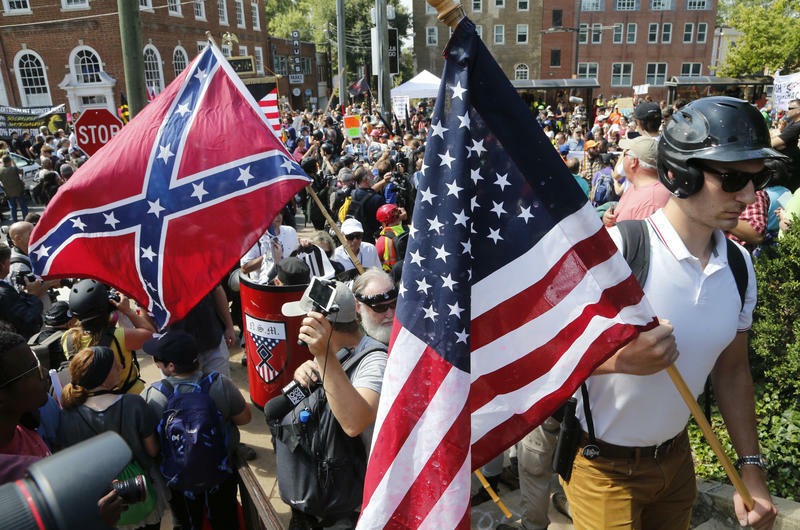 He said he thought it was important "to stand with the good people of Charlottesville, Virginia and the good people of the United States against hate in any of its forms." Lembo said he also wanted to send "a clear message to the President of the United States that drawing a moral equivalency between what happened and the people who were protesting in good faith is just unacceptable." Karen Hanson from Shelton came to the protest in New Haven with her husband. “We’re middle-aged white people and I think it’s really important for our faces to be part of the crowd," she said. "And that’s really why we’re here, besides feeling very strongly that racism has no place in this country, bigotry, and especially -- can we get the Nazis out of the White House?" A day after a rally of white nationalists turned violent in Charlottesville, Va., Gov. 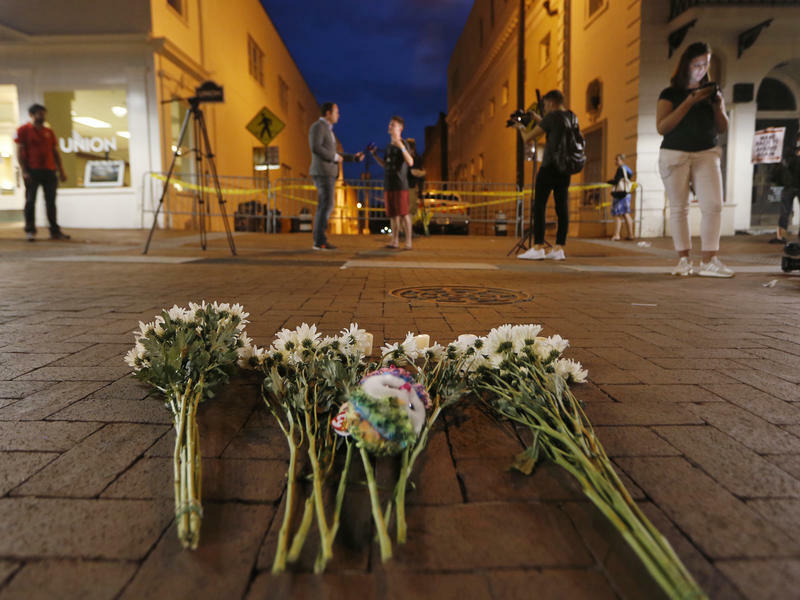 Terry McAuliffe said there is "no place" for such hateful people in the United States as he called on President Trump to more strongly condemn the perpetrators.